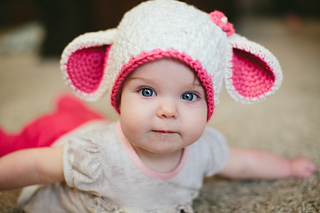 is cozy beanie will keep your little lamb nice and warm while looking extra adorably soft! 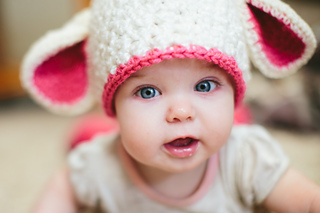 The beautiful texture of this hat is achieved by using the specificyarn mentioned. Any super bulky yarn can be swapped in, but the boucle yarn is necessary for the woolly effect. Buy 2 patterns/eBooks, get one free. Add 3 patterns/eBooks to your cart = 1 free. Add 6 patterns/eBooks to your cart = 2 free. 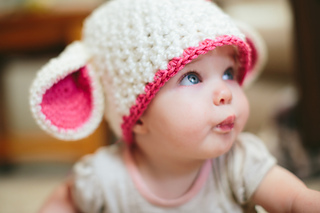 Add 9 patterns/eBooks to your cart = 3 free. Use coupon code FIREFLYTHANKS at checkout.